Both the Growing Up WiLDand Project Learning Tree (PLT) Environmental Experiences for Early Childhood Activity Guides build on children’s sense of wonder about nature and invites them to explore wildlife and the natural world around them through a variety of activities and experiences. All participants will receive a copy of Growing Up Wild activity guide with 27 multi-disciplinary activities and the PLT guide with over 130 experiences that engage young children in outdoor exploration and play. Cost: $40 per participant, includes lunch & 2 Activity Guides (no charge to LSSI schools & MTU students). 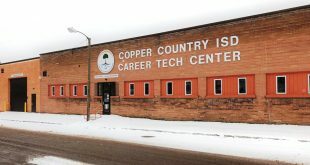 Make checks payable to CCISD, 809 Hecla St., Hancock, 49930.